Following last night’s VMAs, Madonna has been lambasted by many for an Aretha Franklin tribute that was mostly about a different famous singer — mainly, Madonna. But now the Queen of Pop has spoken out, defending her speech and saying it was never intended as a tribute to Franklin. Instead, following the Madonna VMAs speech at issue, she says she was merely asked to relay an anecdote connected to Franklin. Madonna on the red carpet at the MTV VMAs. After a few cheers, Madonna then launched into a story about starting her career, when she had to try hard to get auditions. 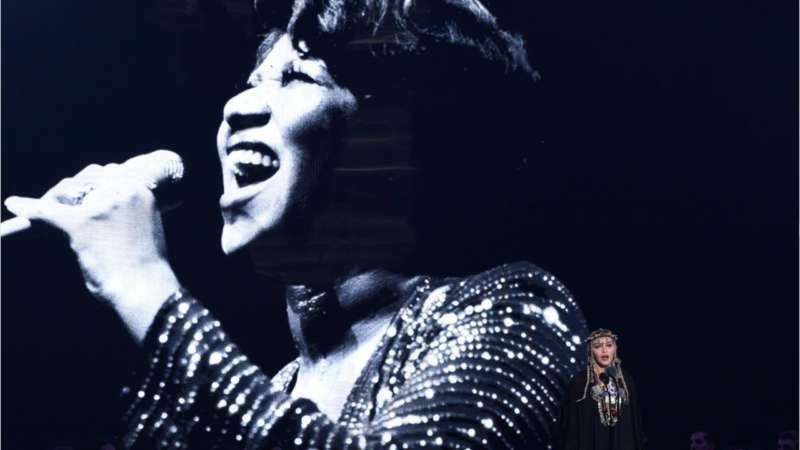 Once she was invited to Paris to audition as a backup singer and dancer for a “French disco sensation.” At that audition she sang “(You Make Me Feel Like) A Natural Woman,” a hit song for Aretha Franklin written by Carole King, Gerry Goffin and Jerry Wexler. Since the pianist didn’t know it, she had to sing the song acapella. The story was overly long and ultimately had very little to do with Aretha Franklin. It turns out that singing “A Natural Woman” not only didn’t get Madonna the gig, but also didn’t play a role in setting her up to become a star. 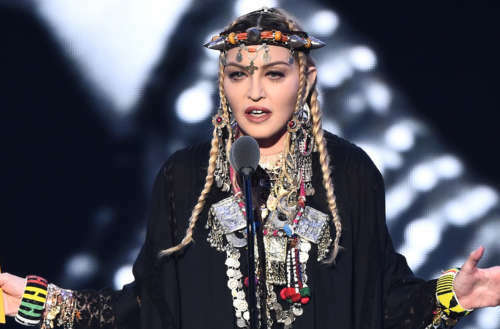 Though she says she didn’t intend last night’s Madonna VMAs speech as a “tribute” to Aretha Franklin, many are calling BS. (After all, Madonna came out after a clip of Aretha Franklin and spoke before a gigantic backdrop of the late singer.) Tribute or not, why tell a story that had so little to do with the Queen of Soul? What came out was “One time I sang one of her songs, and I didn’t get the job but later was offered a job I didn’t want.” Wouldn’t it have been better to talk about how much Franklin’s music meant to her? Or perhaps how Franklin inspired her to be a singer? 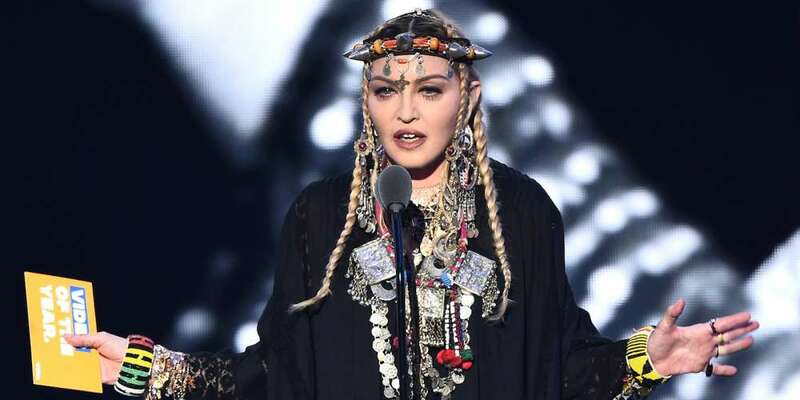 Madonna has also caught grief for stepping onstage to give a “tribute” (it was the event’s sole tribute, as far as the audience was concerned) decked out in braids, traditional Amazigh dress and a mouth grill. 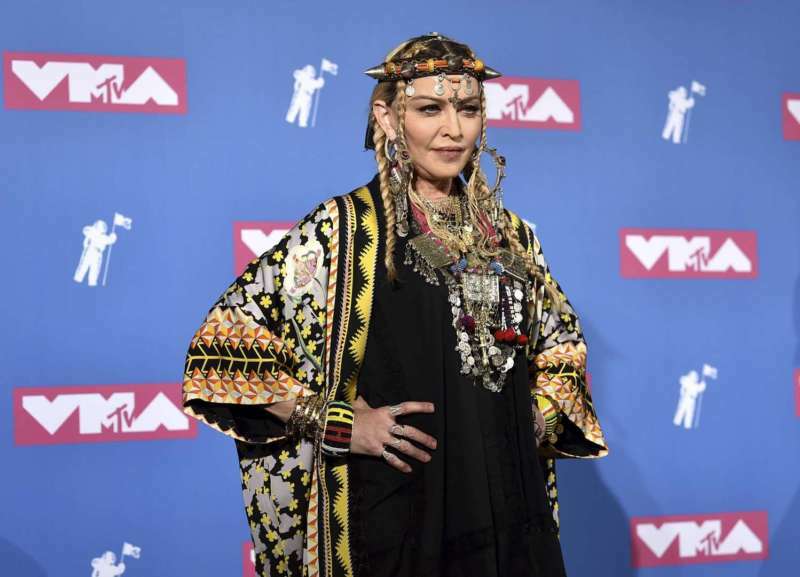 Many have shouted “cultural appropriation” from the rooftops following the Madonna VMAs speech (with others citing Madge’s recent birthday trip to Morocco as an excuse for her choice in wardrobe), but even if you don’t buy that the look was unacceptable appropriation, it surely would have been nice to pay homage to Aretha Franklin without a grill obstructing her ability to enunciate. We’re pretty sure had Franklin been present for the “tribute” she would have forcibly removed the grill from Madonna’s mouth herself. Of course, maybe Madonna isn’t who we should really be casting aside following a truly atrocious tribute to one of the great musical artists of all time. Perhaps that blame lay solely at the feet of MTV. Madonna has been critiqued more than once for her “tributes” to fallen musicians (see: Michael Jackson and Prince), so why on Earth would MTV feel she was the best option for honoring Aretha Franklin days after her death? Why not separate the “Video of the Year Award” from the Franklin tribute (meaning MTV still gets to put Madge’s name on the marquee) and allow someone who had actually met the Queen of Soul to honor her properly? Aretha Franklin was a very real part of this nation’s Civil Rights Movement. Not only was her music a hymn present during the heat of the decades-long battle; she also played a very real role behind the scenes of the movement, occasionally bankrolling Dr. Martin Luther King’s work through singing gigs, saving him from bankruptcy. What prevented MTV from finding a woman of color to pay tribute to an artist who quite literally paved the way for all future artists of color to follow? Jennifer Hudson will soon portray Aretha Franklin in the biopic about her life. Franklin herself hand-picked Hudson for the role. Janelle Monáe was an artist nominated for multiple awards last night. Perhaps MTV had reached out to both and neither were available to go forward with the heavy honor. Regardless, Aretha Franklin deserved more R.E.S.P.E.C.T. than what she got last night. What did you think of last night’s Madonna VMAs appearance in honor of Aretha Franklin?